Do you play the blame game? I know I was quite an ace at it. There are times, even now, that I might lapse into playing that game, but I often call myself out and stop. Watch this video to see the blame game in action. Like Brené Brown says blame is a way of gaining control of a situation. It is also a way to deal with our discomfort and pain. It’s easier to blame than to take responsibility for our behaviour. There’s no doubt that we learn from the patterns of behaviour modelled for us. However, we don’t have to continue to behave the way we learnt to. We have choices. Blaming involves us hiding from the truth. It calls for us to admit that we are helpless and the victim of another’s words, behaviour or action. No more blame. No more victims. I’m choosing to stop playing the blame game! What about you? Today I’m linking in to #MondayMusings on Write Tribe. Come join us there. I think the blame game is mostly about that, don’t you? Love the message of the t-shirt, Robyn. Thanks for sharing. For a long time I used to blame my mom for EVERYTHING. Poor woman she must have felt the worst. I now blame myself which is also just as bad. I will try and take you advice corinne. It’s so easy to put the blame on someone else, isn’t it? Even if they were wrong, as they sometimes are, we can’t get stuck with the blaming. Moving on is what we need to do. You mention a great point we might have learned from pattern and model behavior but we can choose not to act like that. (which are hard to break patterns or step out of our comfort zone) I think people choose the easy way out.The problem is that people don’t want to get dirty with the ugly stuff like braking patterns or owning up to their part.they rather blame and make excuses. I’d like to consider myself a non blamer, but the reality is that’s not entirely true. I think my first response was similar, Wendy. But I too know it’s not true! To be honest about this, I try but fail miserably each time. The blame-game option seems more lucrative at the moment of action as it offers that temporary relief from taking responsibility. Later I realize my mistakes and how I should not have reacted. I had read somewhere earlier that we should try responding instead of reacting to any situation. I continue to try my best. Something I stopped a long time ago… does not help anyone! I understand, Sandra. But that’s an entirely different aspect and it’s not blame, it’s attribution. So true, When you play the blame game you allow the negativity to rob your peace. Anything that harms the peace that God gives you is not worthy of your time. That’s a great perspective, Mary. Thank you. That was an awesome video. 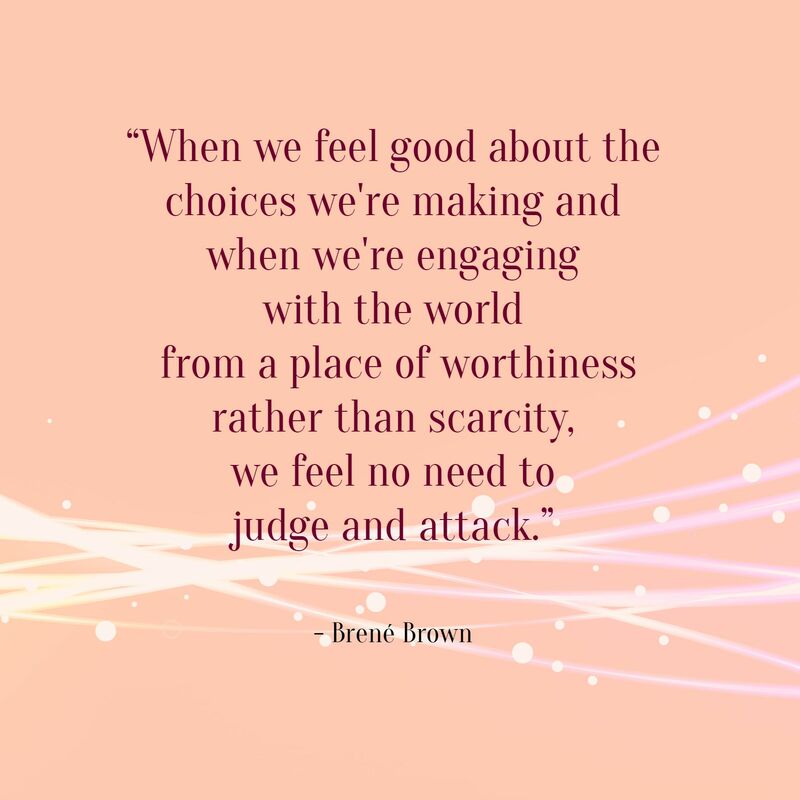 Frequently, I don’t watch videos because it seems like it’s another step, but I really like Brene Brown so I thought I would try it. I appreciate you for writing this post and other supportive posts. She’s right, about blame being corrosive for relationships. I’ve also not thought about the connection b/w blame and wanting to have control. In my relationship, we definitely do this dance… I’m sharing the video w/ my husband and hopefully he’ll get something out of it too. It’s easier to see from the outside though. I understand, Courtney. That’s why I hardly use videos in my posts. I just had to share this one though. I’m glad it spoke to you as it did to me. The atmosphere at the last place I worked was so toxic, it nearly killed me. I wished I would have handled things in a better way. One that would have allowed me to stay there, because I did (and do) love the residents with whom I worked. Towards the end of my tenure, there were many, many layoffs and workers were actually hoping to get laid off, so they could get away from the place. I allowed the place to get to me to the point I started smoking in my late 40’s (I had not done so previously). At the time, the only choices I saw was to smoke or (and I am not a violent person) punch a wall to release frustration. I’m still working my way out of that mess. Actually, your post really helped me today, Corinne. I had not thought about this situation consciously for some time. Thanks for the valuable reminder and for all that you do for your sister (and brother) bloggers! I’m sorry to hear about what you went through, LuAnn. A stressful job caused me to start putting on weight – and I haven’t stopped. The things we do to ourselves!! As entertaining as the cartoon talk was, it was too true – and many American workplaces play that blame game all too well. So you would think we would know better in our personal lives, and we don’t. I know I play that game. It’s a world-wide phenomenon, Alana. I sometimes think that the more educated and priviledged we are the more we play this game! Time to call a halt, no? I took the blame always. I know, I still do. I apologize even when I know that I am not in the wrong. It has pulled me down in many instances. I am learning though. Thanks for the post. Oh I know that behaviour too, Shalini. Self-esteem issues manifest themselves in such a variety of ways! Glad you’re changing. I’m on that path too. I try Corinne but I do end up blaming others… I try to control myself and even rebuke myself but sometimes I just go on that path…having said that, I understand how being in control of our lives and choices help us from not pointing fingers at others…Something to focus on definitely! I think we all do this sometimes, Naba. Patterns of behaviour are not easy to break. But awareness is a start for us all. I’ve been conditioned to take responsibility for everything…to the point where I will blame myself for things I’m not responsible for! I think it’s the other end of this blame game spectrum . However, I do see a lot of clients who love to blame everyone else and not take responsibility at all…it’s such hard work! Really? How interesting that is, Sanch. I guess finding a balance is what it’s all about. I don’t blame others much. Usually, I do blame my close family members sometimes, but I regret later about it and ask sorry. In professional life, it happens a lot and I believe in accepting defeat as a team if something goes wrong and celebrating success together. Thanks for sharing, Mahathi. That’s truly the spirit of team work! Like I mentioned in my reply to Sanch, I guess finding balance is what it’s all about. Thanks for sharing, Roshan. I definitely play the blame game a lot. I try to refrain from doing it and try to take responsibility for my own actions, thoughts and feelings, but it’s hard. It never is easy, Astrid. But I think awareness is a good place to start, no? Love the quote. Actually when we play the blame game we give away our power though it looks like we have it. Good post. Absolutely, Suzy! Somewhere down the line, we seem to have got that wrong! Right you are, Meena. Happy to see you back to blogging again!